From a former Economics professor & experience traveler (100 countries), award-winning photojournalist/blogger, featured speaker at large travel shows, travel TV host (Plan Your Escape® TV), and columnist for the Huffington Post, the 5-star Plan Your Escape® has helped thousands of people travel and see more for half the cost for all trips from weekend getaways to longer vacations and trips, experience more adventure and romance with comprehensive planning tools & checklists, safely realize their travel dreams, and much more – see Book Reviews and 5-star Reader Reviews! The Dunlaps rented their home and traveled the world for the past 3 years and are members of the exclusive Travelers’ Century Club. In total they have visited 100 countries and island groups on 6 continents as well as 44 U.S. states. They have done home exchanges and taken 31 cruises on 14 different cruise lines on ships ranging from 10 to 3,000 passengers as well as over 100 trips together taking cars, trains, buses, organized tours, and independent travel round the world. Traveling is their passion! 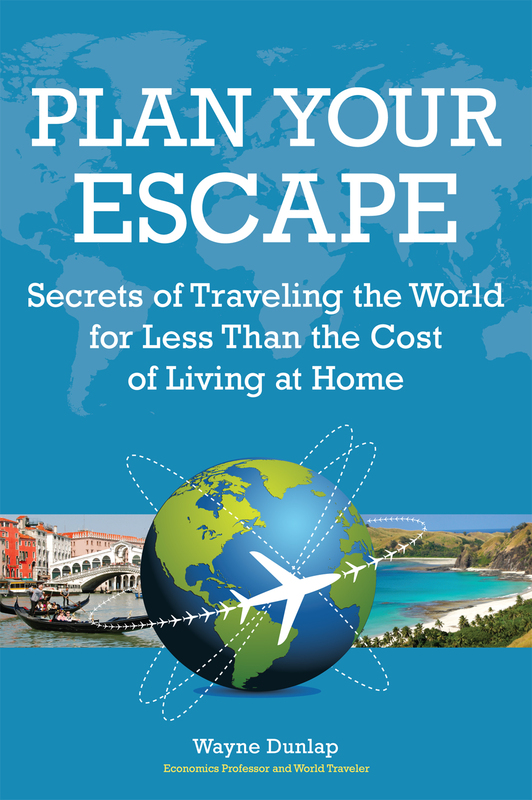 You can contact the Dunlaps to give inspirational and informative Plan Your Escape® travel speaking engagements for your organization about great travel tips, bargain-finding strategies, and interesting stories! 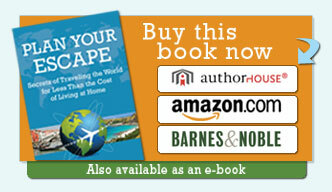 With these cost-saving tips and bargain-finding strategies worth 100’s of times the cost of this book, you can travel and see more for half the cost for your normal vacations and weekend getaways or stretch your typical holiday costs to cover a month or more of traveling. In many places in the world, you will learn how to go travel for less than a $100 a day for a couple!